I often get ideas in my head late at night about things I want to try or buy. 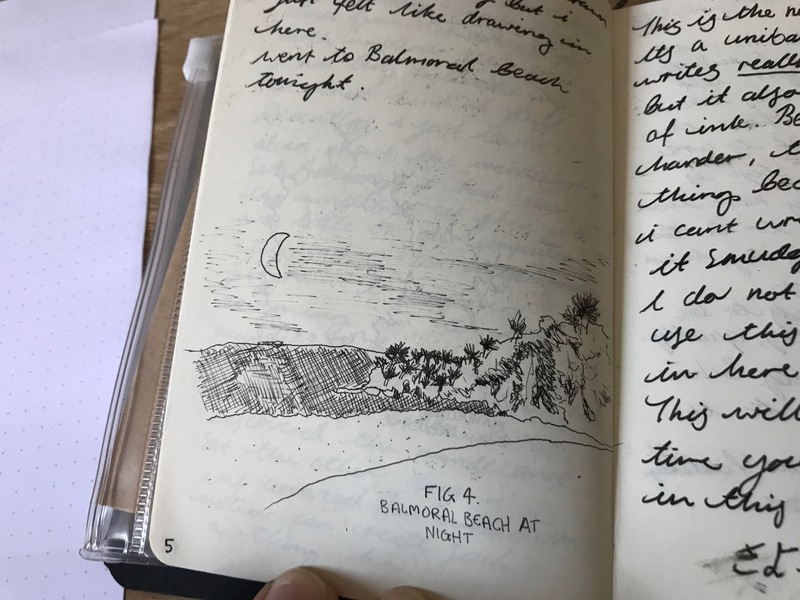 Last night it was the idea to include more illustrations in my journals (even though I am so bad at drawing–you will see soon just how bad). The day later, I stopped in at Dymocks Stationary in Sydney on my way to work on a mission to buy just one thing. 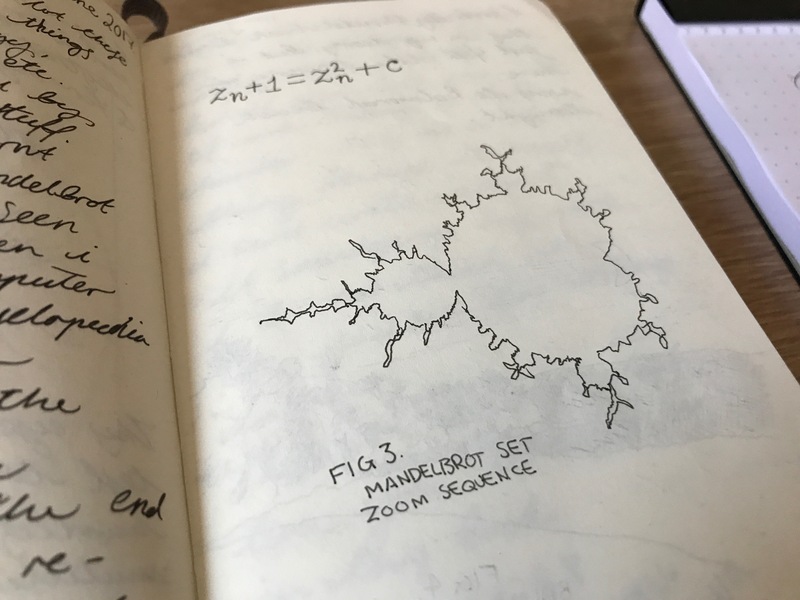 A fine line pen that I can use in my journals to illustrate. It had to be the finest line pen I could find. The shop assistant showed me the Copic Multiliners and I chose the finest one they had, the 0.03mm. 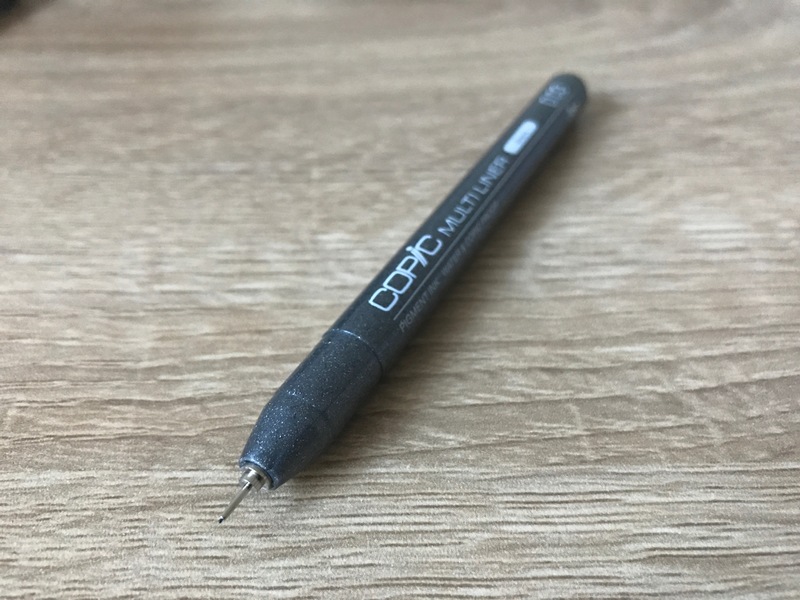 I am in no way an artist or designer, I have never used a Copic before and I have never used a pen under 0.38mm, so I was surprised at just how hard it is to write/illustrate using fine tip pens. 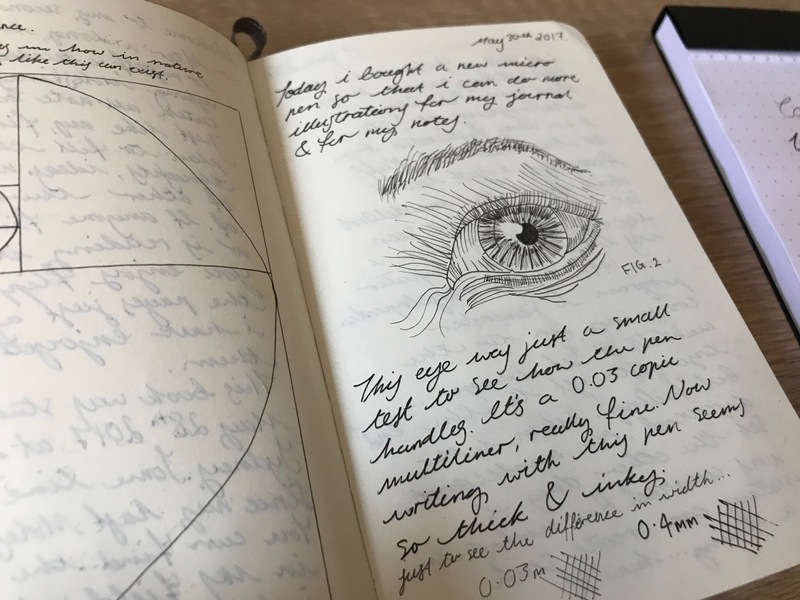 Did some small sketches in my notebook to test out the pen (the eye is a traced drawing, I cant draw remember). The detail you can get with a 0.03mm pen is amazing but also difficult to use. I have a long way to go to learn how to render and add textures in to my drawings so any tips or ideas would be helpful. That same day I got the Copic I also needed a new writing pen too as my other one was running out of ink. The only time a pen runs out of ink for me is when the pen is a Uniball Signo RT or Sarasa Gel pen. I use them up in an instant. While browsing the pens I found the Uniball Sign 307 and wanted to give it a try. Couldn’t find it in 0.4 or 0.38 (my preferred writing size) but found one in 0.5. Close enough I thought. As expected by uniball, the writing experience is super smooth and extremely flowy (for lack of a better term). That night when I did some writing, I was so dissapointed with just how much ink flowed out. Usually the Uniball inks dry quick enough for my left hand writing that by the time my palm smudges over it it doesnt smudge, however with this pen, because it is so inky, I had to bend my hand uncomfortably just to allow the ink to dry while I wrote normally. It is hard to find a good pen if you are a left handed writer. I wasnt accustomed to just how thick and dark the writing would look. It gave my writing a kind of rushed appearance which is probably due to all the smudging and thick inky lines. The right hand page of that image is the Uniball Signo 307, hence the smudges. This pen will not become my new writing pen and for now I will keep to what I know works best for me. This pen however may be suitable to right handlers and to those who love a real thick, dark heavy line when they write.